Fairy Tail is one of the best anime series. It is based on a manga comic by Hiro Mashima. The series is set in a fantasy world called Earth-land. The main character is Natsu Dragneel. Natsu is a young wizard whose quest is to find his foster father, the dragon Igneel. The show is light-hearted and funny, a contrast to many anime series. It does have more thoughtful moments. These quotes about love and life will inspire you. 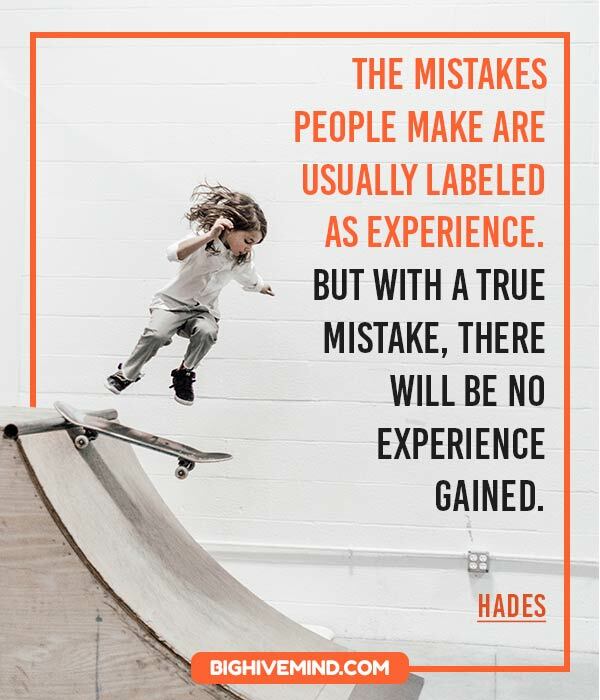 The mistakes people make are usually labeled as experience. But with a true mistake, there will be no experience gained. 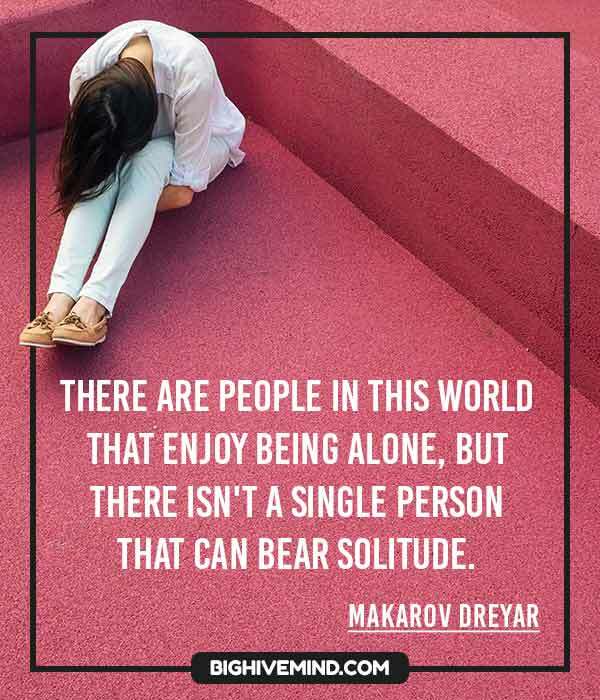 There are people in this world that enjoy being alone, but there isn’t a single person that can bear solitude. We don’t have to know what tomorrow holds! That’s why we can live for everything we’re worth today! You don’t need a reason to cry. All you need to feel is the warmth that dwells in your chest. All living things eventually die. It’s unavoidable. But as long as you remember, it will live on in your heart forever. Care too little, you lose them. Care too much, you get hurt. It’s not about whether or not you’re a human or an Exceed. We’re all living beings and we have to do what is right. I’ll be right beside you. 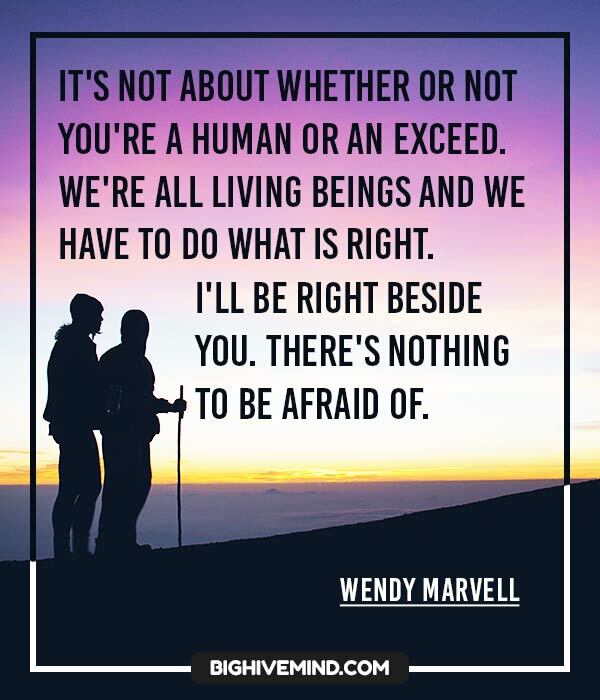 There’s nothing to be afraid of. What were you doing inside of me?! I don’t ever remember eating you! It’s a hundred years too early for you to pick a fight with Mages like us. Your so called “hope” is to throw the past into despair? Ice can even stop the time of life itself. So, you’ll never be able to catch up, for eternity. You’ll always be stuck there, staring at the fairy tail. I refuse to stand by and watch you give up. I won’t lose you, I can’t. We’ll walk away from this battle together. It’s not a crime! Caring about your friends is not a crime! Don’t give up. It’s not over yet. Bring it on, b*st*rd… I’m standing right here! There’s a wall that can’t be destroyed with just power. However, there is a type of power that can destroy that wall. The Power of Feelings. Save the tears for when we win. Feelings can be controlled, but tears never lie. We’ll stop it, even if my body crumbles to bits, I’ll stop it with my soul! If you don’t have the courage to change things then you might as well just die!!! It’s not a sin! Caring for your friends feelings is not a sin! If you disappear, then Aries, myself, and everyone here will be filled with sadness! You won’t be repenting your sin that way! Even if we walk on different paths, one must always live on as you are able! You must never treat your own life as something insignificant! You must never forget the friends you love for as long as you live! Let bloom the flowers of light within your hearts. It’s not the goodbyes that hurt, it’s the flashbacks that follow. If you realize you made a mistake with the way you’ve been living your life, you just have to take the next moment and start over. The fact that I’m standing here now means I’m also prepared to fight on behalf of my Guild. I don’t need your pity. Until I’ve fallen and become unable to move any longer, please come at me with all your strength! I want to become a man who treasures his friends. Fear isn’t ‘evil’, it only allows us to learn our own weaknesses. When we learn our weakness, people can grow stronger and kinder. Care too little, you might lose them. Care too much, you get hurt. We know our weakness. Now what will we do? We’ll get stronger! We’ll get up and fight! Always trying to make myself seem strong… So I locked my own heart in a suit of armor. No! Running away by myself? No way. It’s always more fun when we are together! Comrade isn’t simply a word. Comrades are about heart. It’s the unconditional trust in your partners. Please, feel free to lean on me… and I too, will lean on you as well. It’s not a sin to fall in love. You can’t even arrest someone over that. 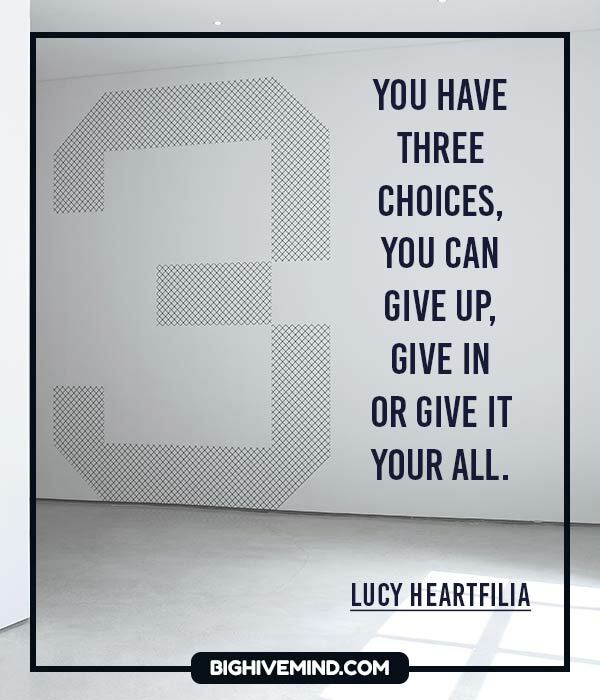 It’s only the end if you give up! There’s nothing happy about having your fate decided for you! You have to grab your own happiness! I don’t care if you are the strongest or top guild in Fiore, but I will tell you this. You’ve made enemies of the worst possible guild to piss off. Moving on doesn’t mean you forget about things. It just means you have to accept what’s happened and continue living. If one really wants to change the world… they have to do it with their own hands! Even if I can’t see you… Even if we are separated far from each other… I’ll always be watching you. I’ll definitely watch over you forever. I don’t care where I get hurt, as long as my injuries are visible. If it’s to protect our family, be it the Kingdom or the entire world… We would make anyone our enemy! 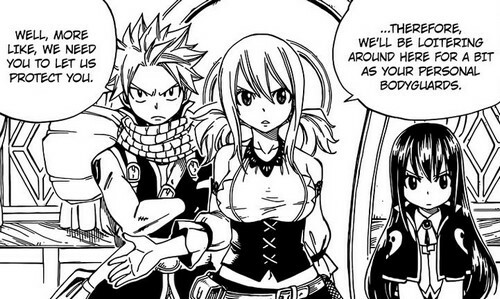 That’s what it means to be Fairy Tail!! There’s no need to change the past. Because of the past, we are who we are now. Every second, every action from then is linked to us here and now. Feelings are connection. They surpass time, and find their way back to the people you love. You guys are complete idiots! I feel so sorry for you, I think I’m tearing up. Phantom Lord? The spirit ruler? What a joke; I’m not afraid of you at all! In that case, you have nothing to fear. Mistakes aren’t made by locking your feelings and holding back… They’re made while wearing your heart on your sleeve. I won’t give up, I will fight til the bitter end, cause there’s no way I will back down after what you did to my friends. They are what made me the person I am today, that’s why I’ll keep fighting… For my friends! Don’t feel insecure just because you lost!! We are Fairy Tail! We’re from the guild that doesn’t know when to stop! We won’t survive unless we keep running! Do whatever you think is right. That’s the way of the Fairy Tale mages. The real sin is averting your eyes and failing to believe in anyone. Manipulating the pieces according to your strategy… That is what defines a King. It’s always sad to part with those whom you love, but your companions will help you bear that sadness. Freedom can be found at the bottom of your heart. If lives were lost today, then lives were also born. How important each day is… depends on how important you feel it is to you. When we’re all alone, it might be to frightening to bear… but we’re all right beside each other. We’ve got our friends close by! Now, there’s nothing to fear! Because we’re not alone!!! I’ll do what I want till the end. Cut me down if you want. I’ll keep my promise, I’ll save the world.